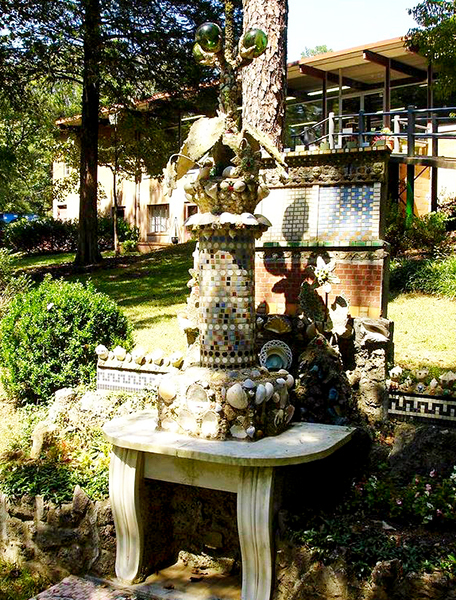 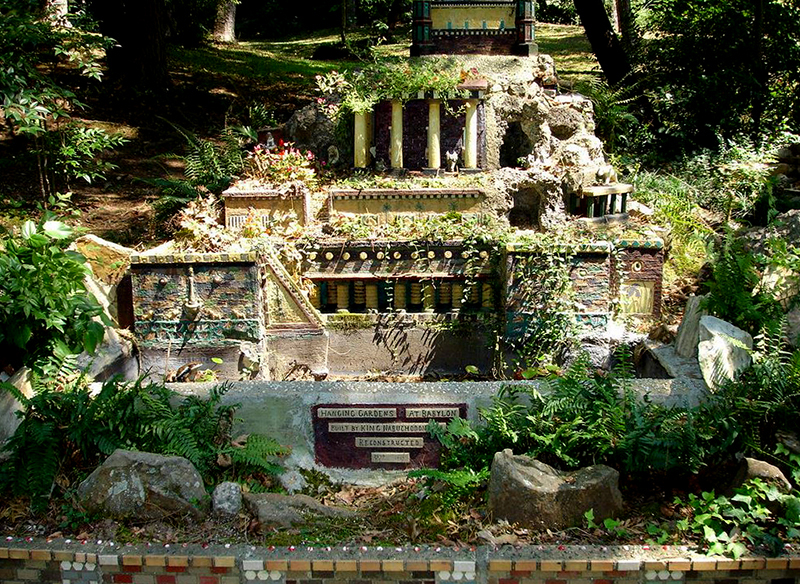 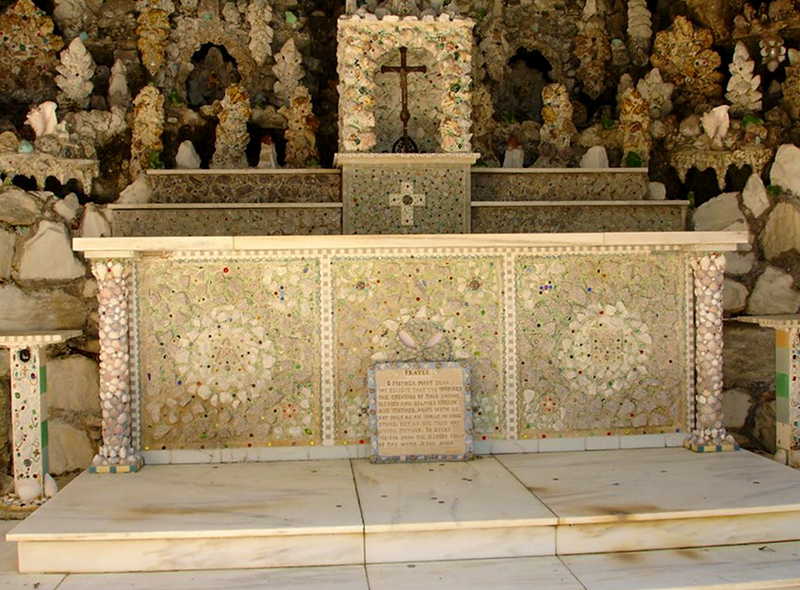 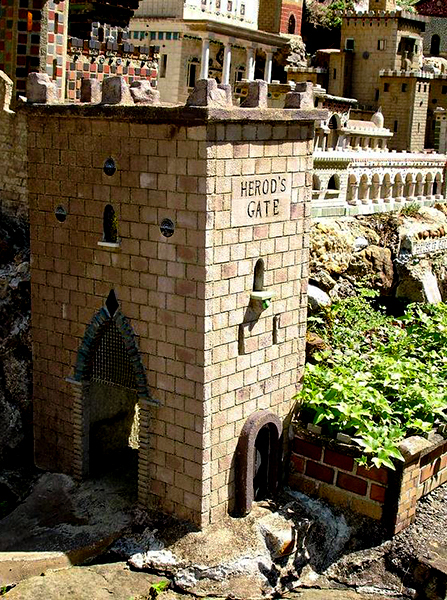 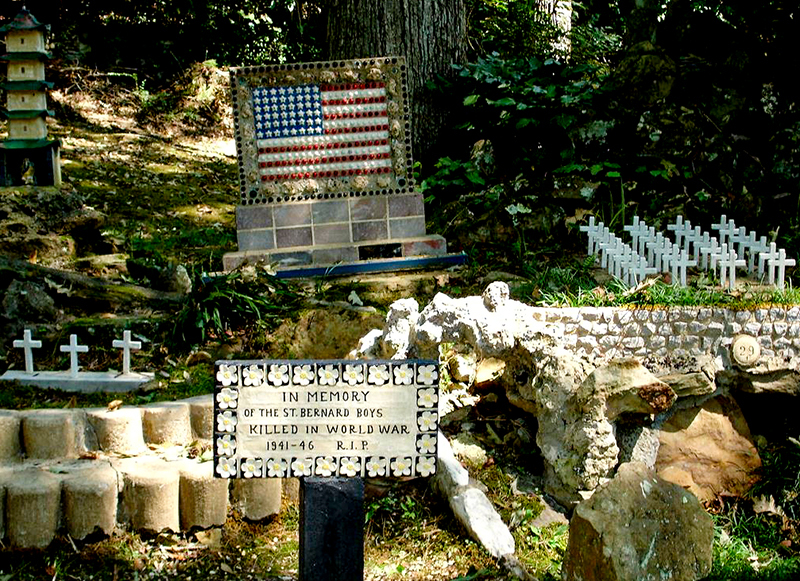 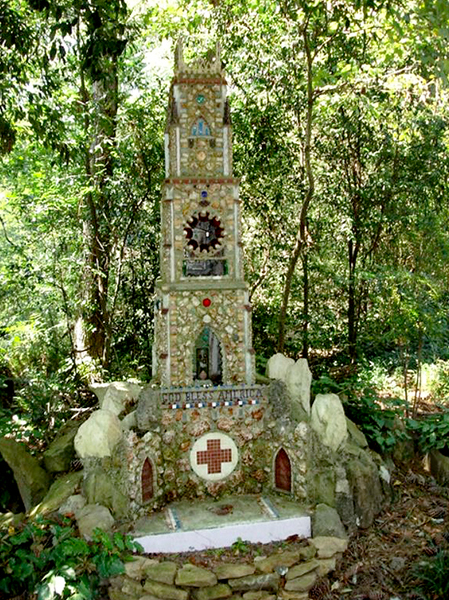 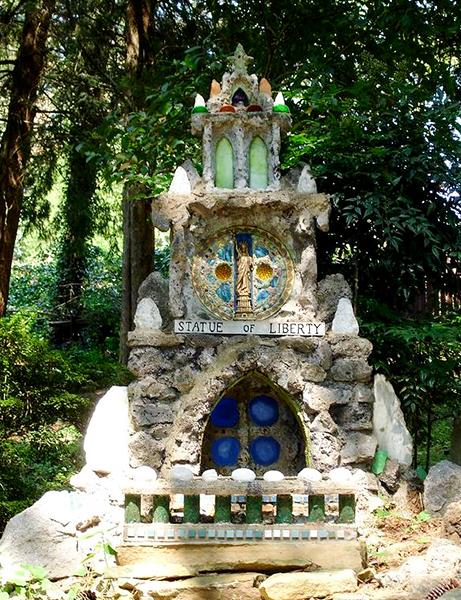 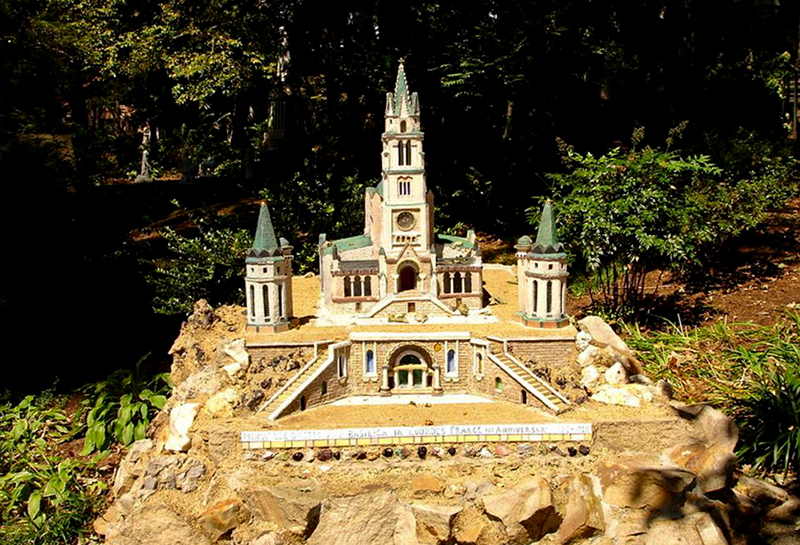 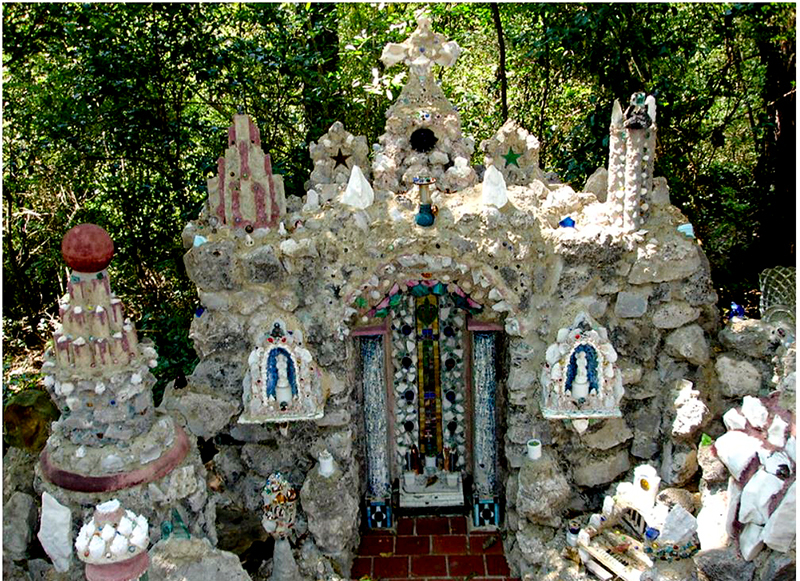 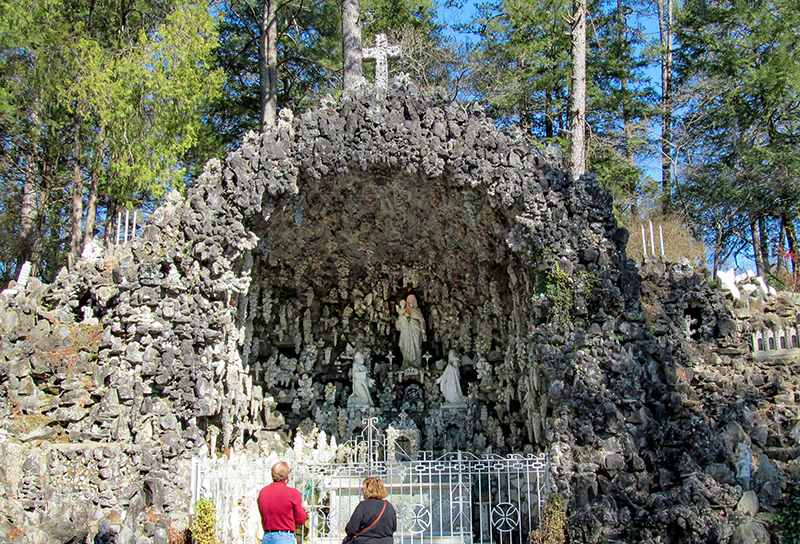 The Ave Maria Grotto was created by monk Joseph Zoettel on the grounds of Saint Bernard Abbey in Cullman, Alabama, the only Benedictine monastery in the state. 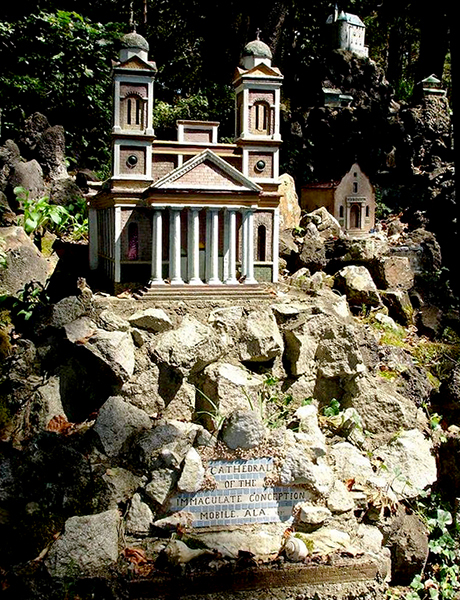 He began building the miniatures around 1918 from leftover construction materials and household items, and over 40 years created 125 pieces. 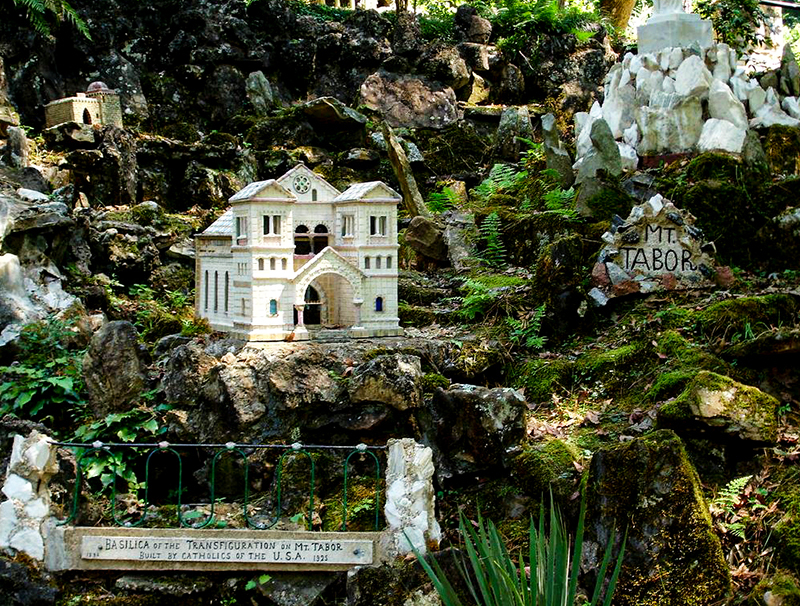 Zoettel fashioned structures both real and fantastical, basing his representations of places he had never visited on photographs and written accounts. 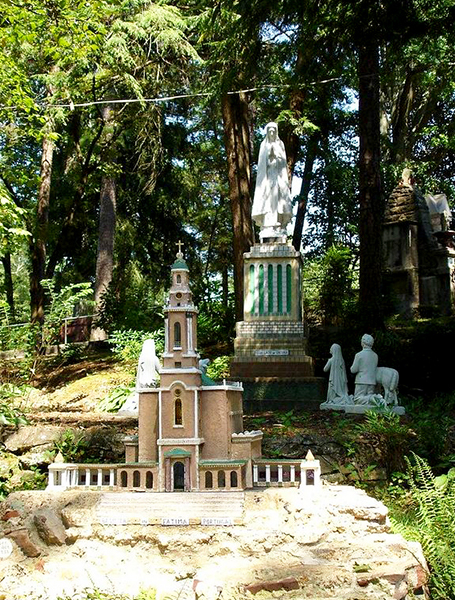 In 1958 he finished his last work, the Church of Lourdes, when he was 80 years old.